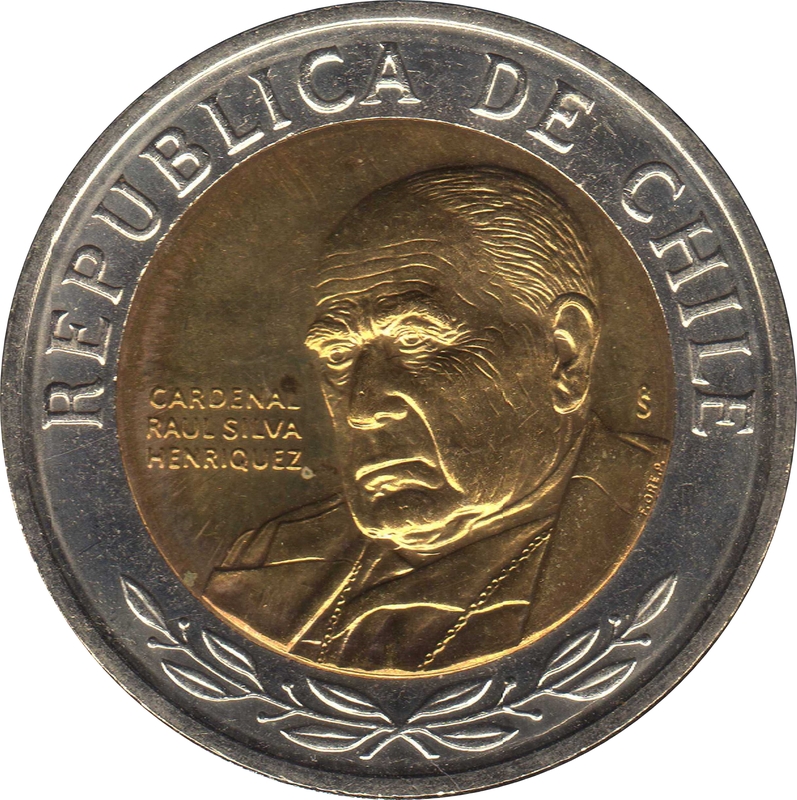 Portrait of Cardinal Raúl Silva Henríquez. 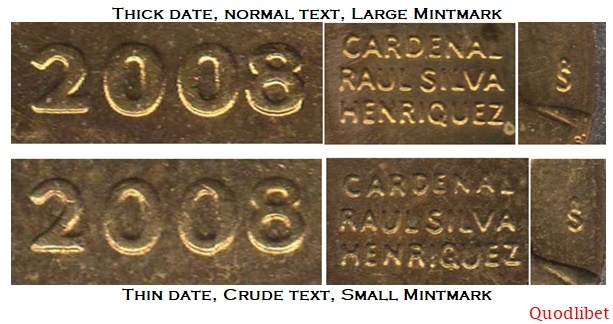 Mintmark right of head, engraver's mark in the right side of the bust (if present). Reeded. 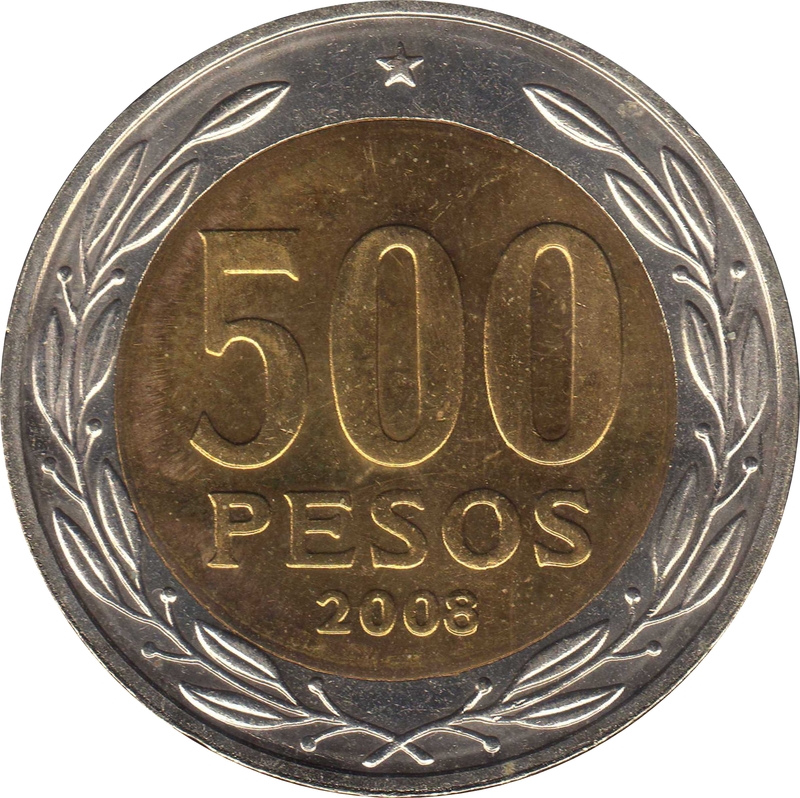 Coins from 2000 to 2003 haves 23.5 grooves/cm and from 2008 to 2016 haves 27 grooves/cm. 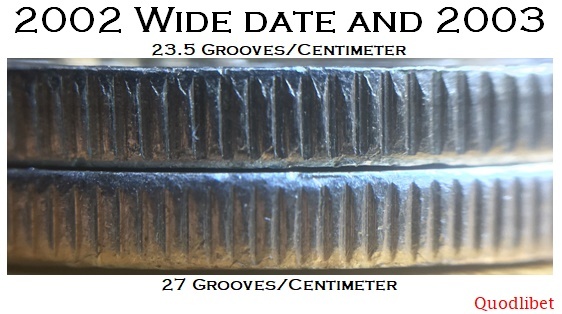 There are some scarce varieties with 27 grooves/cm in 2002 Large date variety and 2003. 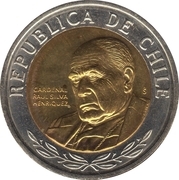 Variants can be found as illustrated below. 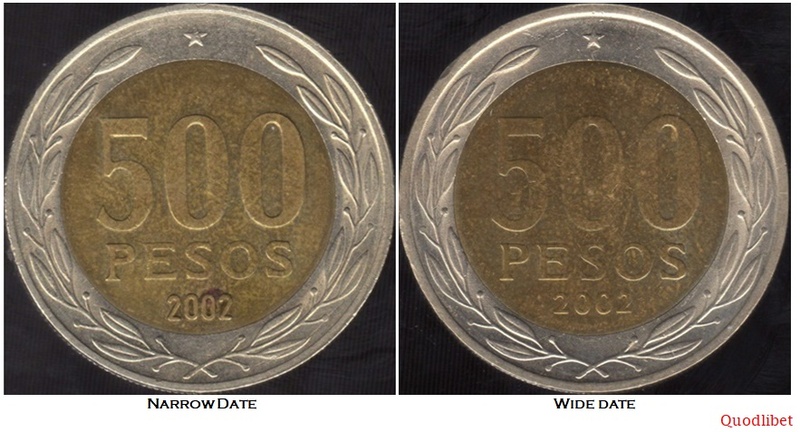 2008 So 1.14 Large Mint Mark, Thick date. With F. Ore. P.
2008 So Small Mint Mark, Thin date. With F. Ore. P.
2010 So Without F. Ore. P.
2011 So Without F. Ore. P.
2012 So 1.15 Without F. Ore. P.
2013 So 0.64 Without F. Ore. P.
2014 So Without F. Ore. P.
2015 So Without F. Ore. P.
2016 So Without F. Ore. P.
2017 So Without F. Ore. P.
2018 So Without F. Ore. P.